It looks like Lucas Leiva’s 10-year stay at the club could be up. The Brazilian was way down Jurgen Klopp’s central midfield pecking order last term and with a new arrival expected, his first-team chances would be even more limited in 2017/18. Today, the Guardian report that Liverpool are mulling over a £5m offer from Serie A club Lazio, who could offer the 30-year-old the minutes his ability and character deserves. Lucas has been a loyal servant to us since he arrived from Gremio in 2007, but few would begrudge him an opportunity to depart if he himself felt it right. Lazio finished 5th in Serie A last term and want to mount a serious challenge in the Europa League, so the move could be beneficial for all parties. 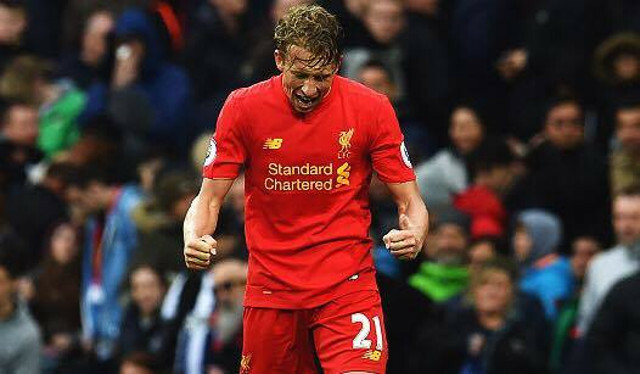 With one year left on Lucas’s deal, Liverpool couldn’t expect more than £5m – so the decision now rests with the player himself. If he does depart, it will be with a very fond goodbye from everyone at the club.